Football consultant Ian McGarry has released his findings on what went wrong in Mourinho’s era at Manchester United. The football consultant has opined that the Portuguese tactician failed to manage the volatile Frenchman and it was the catalyst to his axing as the Red Devils boss, stressing that he would have borrowed a leaf from Legendary Red Devil’s boss Sir Alex Ferguson. “He’s not the first problem child at Manchester United,” he told The Transfer Window podcast. “Eric Cantona was a very interesting person to make a similar situation in terms of his intelligence, articulacy, his moodiness etcetera etcetera, and Sir Alex Ferguson saw that by treating Cantona differently than any other player. He got time off to go back to France when he wanted it, he didn’t have to train as much as the other players, Fergie knew that he smoked [but] he didn’t worry about that, Fergie knew he liked a glass of red wine, didn’t bother about that. “He knew as long as he kept Cantona happy, the team would tick and the team would have that inspirational character who, like Pogba, can deliver that match-winning performance that inspires and motivates the players around him. “Now, Mourinho and Ferguson are very similar in terms of their man management and their styles etcetera etcetera, indeed in their combative nature as well, and by that I mean their sheer sense of competitiveness as well as the hairdryer treatment and everything else. “When a player’s game is broken, and by that I mean he’s fully fit and you now he’s got the talent but he’s not performing to that level, as a coach, as a man manager you ask yourself: ‘well what’s broken in the player’s life which is causing this effect on his football?’” he said. 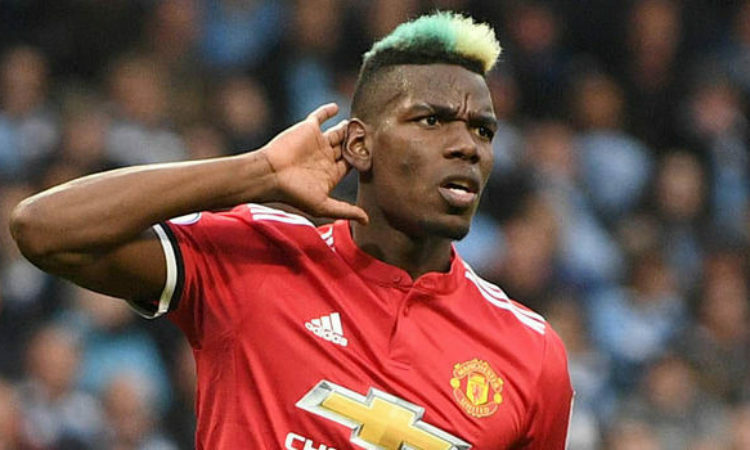 “I recently watched again a video of Pogba giving this speech in the France dressing room before the World Cup final last summer, and we really get that very, very intimate insight in the dressing room, especially of one player, he’s very inspirational. The way he delivered it as well. “We really get to see the side of a player in that high pressure situation of a World Cup final. He’s not the captain, he’s not even that old, he’s not that experienced, but he was the one who delivered a speech that pulled that performance out, including his own, to win the World Cup for France.